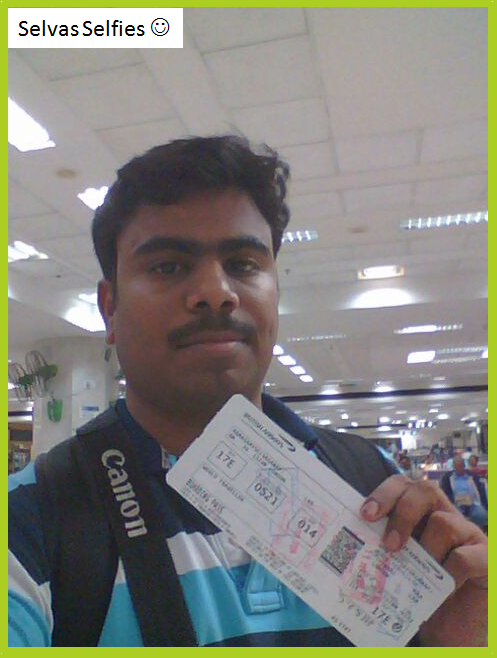 It was 2.30 in the morning on 13th of June, 2014, when I get started to the airport to leave to Atlanta from Chennai. 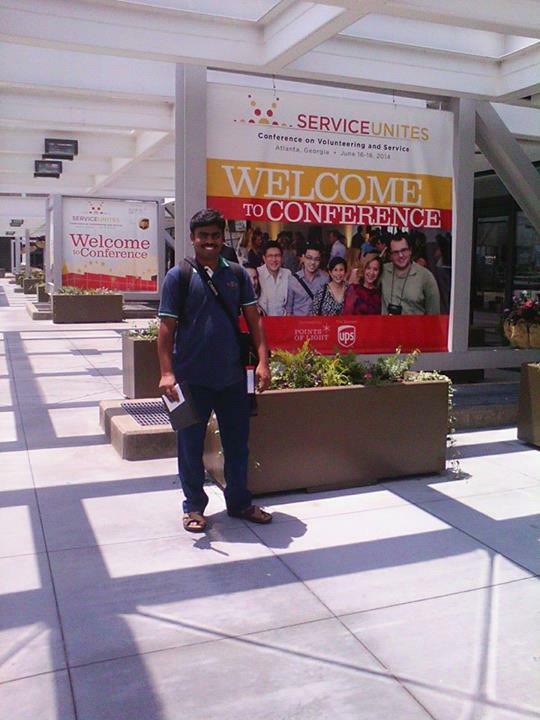 I was so thrilled to visit the US for the first time and to attend the Points of Light conference. I reached the airport and checked in at the British Airways counter. The lady there checked in my bags and gave me a boarding pass which was up to London Heathrow. She requested me to collect my other boarding passes for my London – Chicago and Chicago – Atlanta flights at Heathrow airport. She also said that I need to collect my baggage at Chicago airport and re-check in there!. I then went on to fill up the immigration form. There were so many women who were on their way to Dubai and were waiting on line who came to me and requested to help them fill up their immigration form as well. After filling up and guiding them towards their flight, I moved on to the Gate from where my flight was scheduled to depart. After boarding, I settled in and slept swiftly as I didn’t get time to sleep the previous night. All I did in that entire flight was to wake up eat whatever the airhostess had to offer and then sleep back. I had plans of doing some presentations on my flight but the comfort in the flight made me sleep through the entire flight. 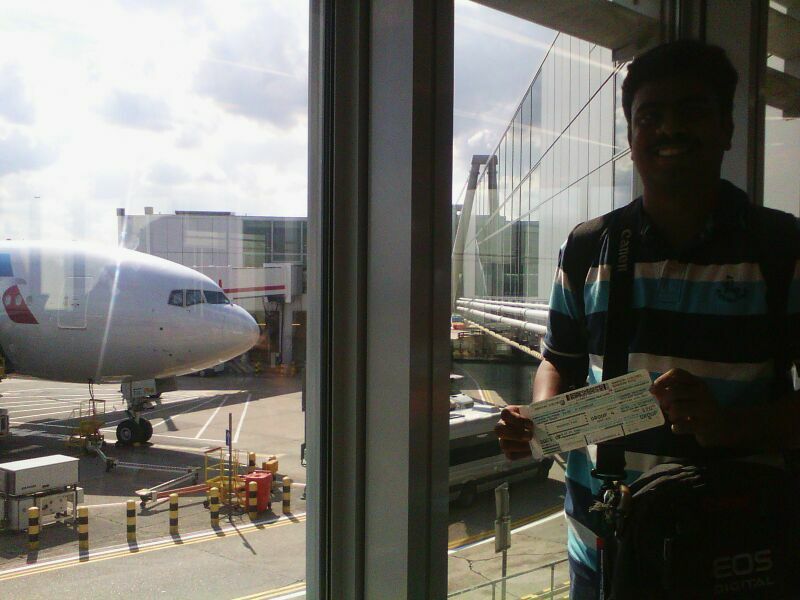 Within no time I was at London Heathrow Terminal 5. I had a 5 and a half hour layover at Heathrow. After deboarding, I relaized that I had misplaced the print out of my ticket. I didn’t know the flight number of my next connecting flight. There were no one around at the information counter and the information screen had close to 300 flights listed at the departure. I turned on my mobile, searched for the Heathrow wifi to access my email to get the connecting flights number. It was an American Airlines flight AA 091 which was scheduled to depart from Terminal 3. There was an internal transit bus facility available to travel from Terminal 5 to 3. I just went around the airport and realized that Heathrow airport was a shopping paradise. I sat back, relaxed and picked up my laptop to complete some work before I caught up with my next flight. I picked up the boarding passes for my London – Chicago and Chicago – Atlanta flights and then proceed to board the aircraft. The flying time between London to Chicago was 8 hours and those hours just flew away as I slept again during the entire flight. I arrived at Chicago on time (i.e. 8.15 PM on 13th June) and had 2 hours before the next flight. I had to undergo immigration and customs, collect my baggage and transit between a terminal and then check in my baggage before catching up my next flight. I thought that it was less time to do all those. When I reached the immigration there was a long queue before me and it took me close to 15 minutes to clear it off. I then collected my baggage, moved out to the train station to catch a train to move to Terminal 3. After reaching Terminal 3 I checked in my baggage and rushed to security check. As I already had the boarding pass collected from London, I was able to make it right on time to the flight. 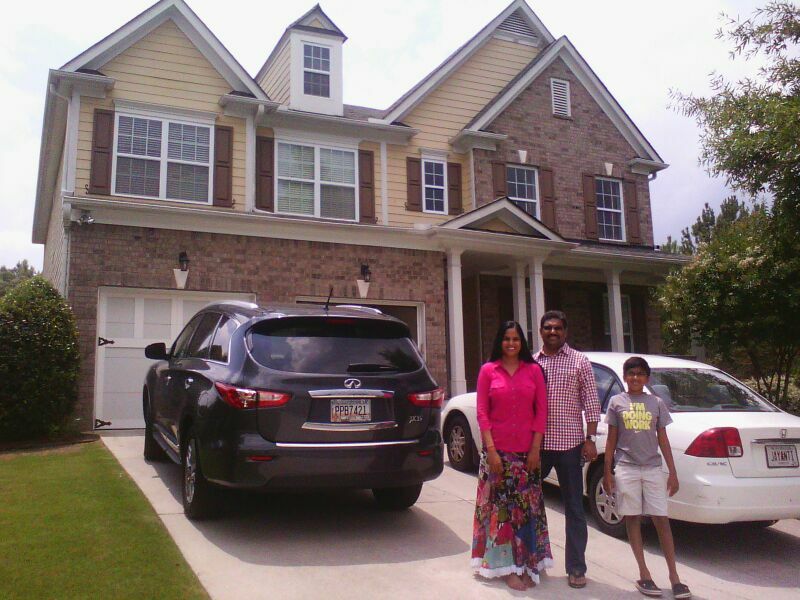 I couldn’t sleep between the Chicago – Atlanta flight and I arrived at Atlanta on 14th June early morning 1.00 AM. My friend (Mrs. Jayathi Harish) and an AID volunteer here at Atlanta had offered to host me here and her husband arrived at the baggage claim area to pick me up. After around 30 minutes of wait we realized that my baggage hadn’t yet arrived. Then we met the official there and registered a complaint about the same and got to know from her that the baggage was still at Chicago due to customs (and a long conveyor belt) and never made it to my flight. She also promised that it will arrive the next morning and took our address. She suggested that she would get it delivered to our address. I didn’t have any dress to change with me and all my stuff were in the bag!. After registering the complaint we then left home. I then learned that my friends home was 50 miles away from the airport and my friends husband (Mr. Harish) had driven all the way to pick me up. They also drove me wherever I wanted to go, twice to the downtown in Atlanta (which is where the conference venue is) and were very sweet!. On 14th noon, we had a couple of AID volunteers coming over for a lunch at her house and also to meet me. We had quite some discussion and then I joined the AID volunteers to come down to Georgia Tech to attend a CSH (community service hours) meet of AID Atlanta volunteers. 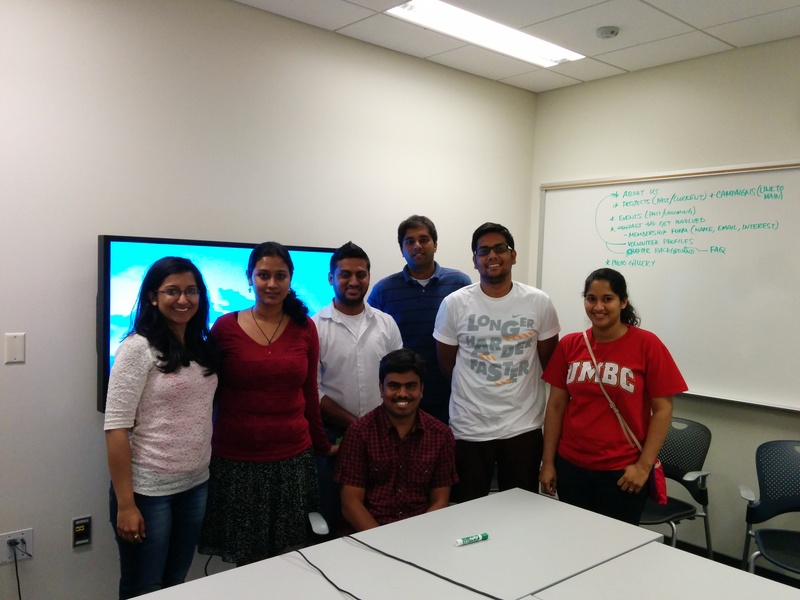 They were a very vibrant group and I really felt happy meeting them. That evening, Mr. Gared Jones, Vice President of Points of Light at Atlanta had offered to host a dinner at his place for the international delegates and had invited me. One of the AID volunteer dropped me at Gared’s home and the other international delegates were just arriving in. 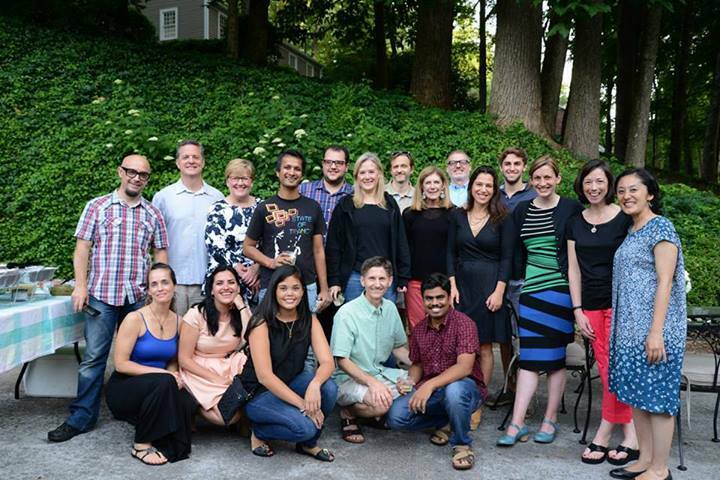 We had a great networking meet there over a delicious Mexican dinner. Gared, his wife Elizebeth and their daughters Bietress and Victoria were great hosts. The dinner went on till 9.30 and it was great to learn from people from Spain, Philippines, Brazil, Japan, US and Poland share their activities on volunteering! Later in the night, I was picked up by Harish back home. I was really tired and slept as soon as I reached home!. 15th June, we had the registrations open, Jayanthi and Harish drove me to the Georgia World Congress Center were the conference is held. I went to the registration desk, completed my registration, collected my information guide and having a cup of coffee now at Starbucks writing this blog!!! I am really excited to be here and looking forward for the next 3 days! I’ll keep you all updated about my learnings through this blog! Previous Post Why do Volunteers QUIT?